President Trump has discovered the Right’s “favorite bogeyman,” said Adele Stan in The American Prospect. 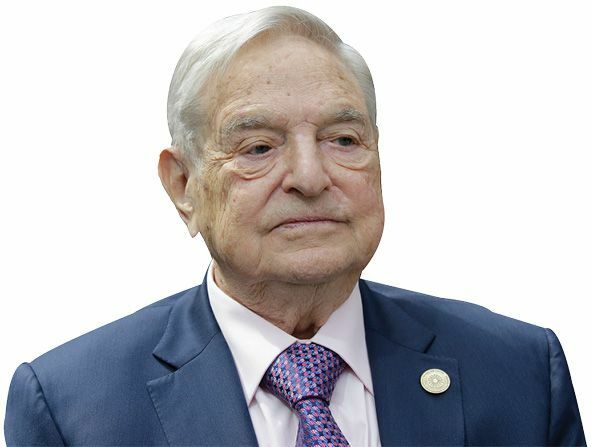 Last week, Trump joined in conservatives’ accusation that sexual assault survivors protesting Brett Kavanaugh’s confirmation to the Supreme Court were being funded by billionaire financier George Soros. It’s no secret that Soros, a Jewish Holocaust survivor born in Hungary, gives lavishly to liberal groups through his Open Society Foundation. But in right-wing “fever swamps,” the depiction of Soros as a Machiavellian puppetmaster echoes the ugly anti-Semitic conspiracies of previous eras. “No, the protesters aren’t being paid to protest, let alone by George Soros,” said Paul Krugman in The New York Times. Nevertheless, prominent Republicans rushed to back up Trump, including Sen. Chuck Grassley, the Judiciary Committee chair. This is scary stuff. In Hungary and Poland—former democracies that are now de facto one-party states—governments regularly accuse Soros “of stirring up opposition to their rule,” with strong, anti-Semitic code words.